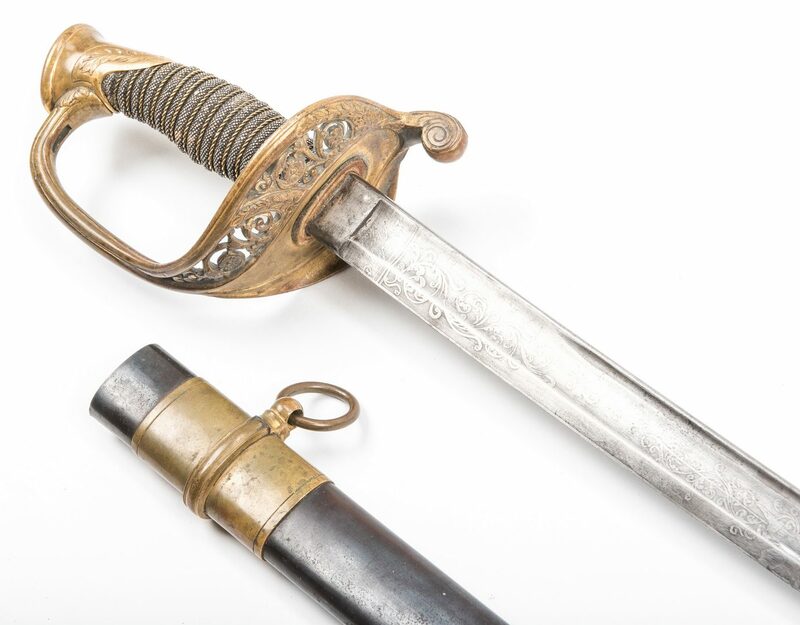 Civil War era Ames Manufacturing Company, Chicopee, Massachusetts, Model 1850 Foot Officerís sword with steel scabbard. 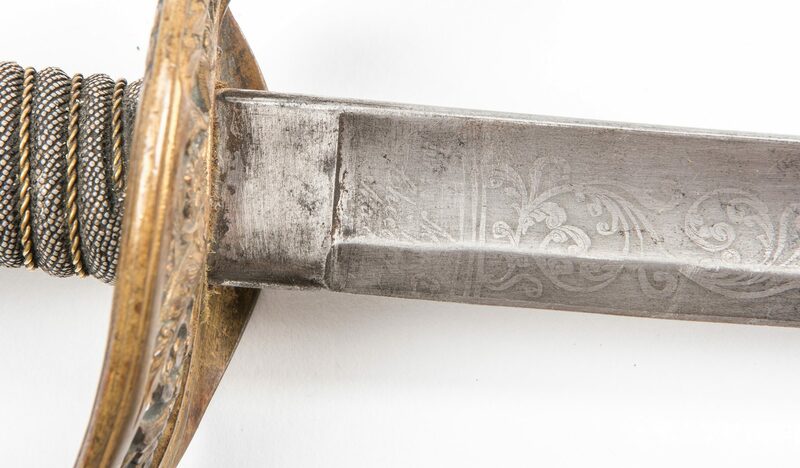 Blade and scabbard stamped "Ames Mfg. Co Chicopee Mass". 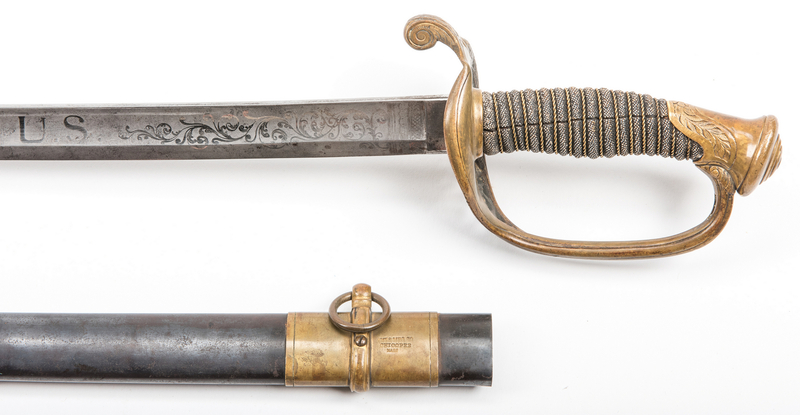 Steel blade etched with "US", eagle, other patriotic motifs, and scrolling foliate designs, brass half basket guard with open work with oak leaf scrolls and acanthus leaves, shagreen leather wrap with twisted brass wire. 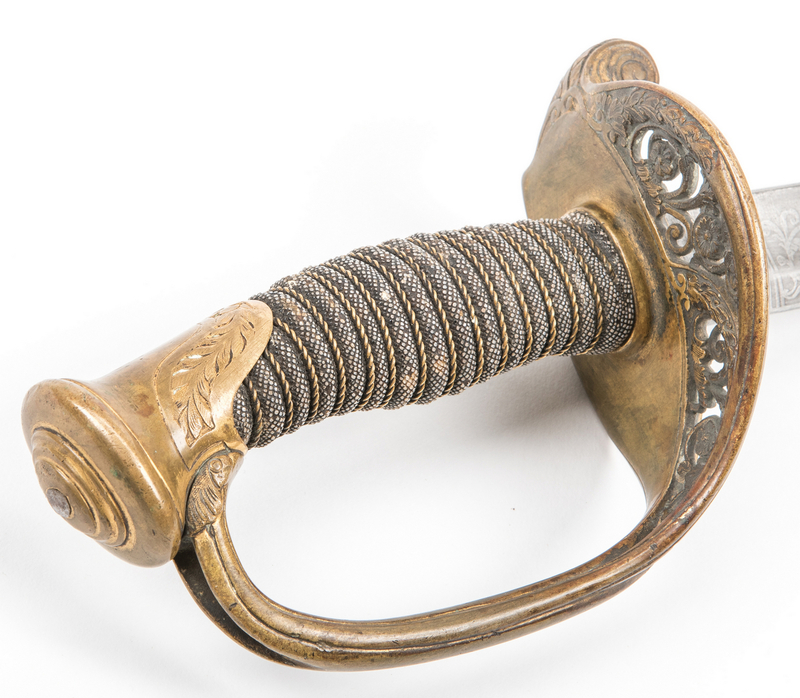 Painted steel scabbard with brass mountings and two rings. Blade length – 30 1/2". 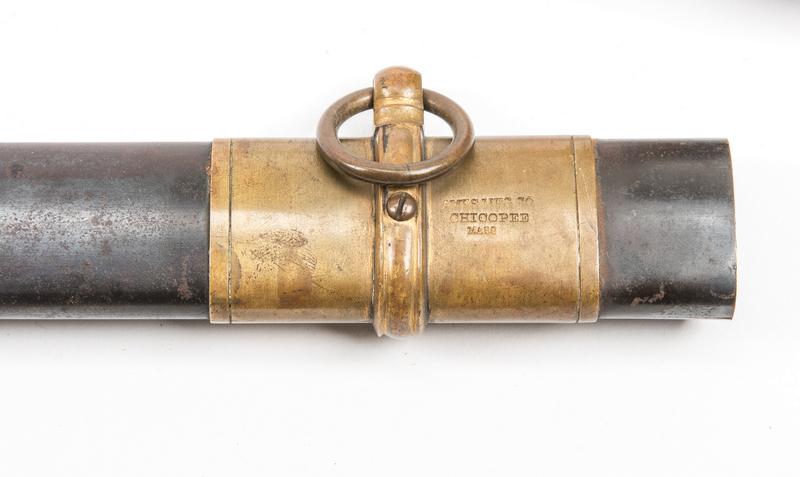 Overall length with scabbard – 37 1/2". CONDITION: Overall good condition with areas of light pitting to blade. Few minute losses to shagreen leather on handle. 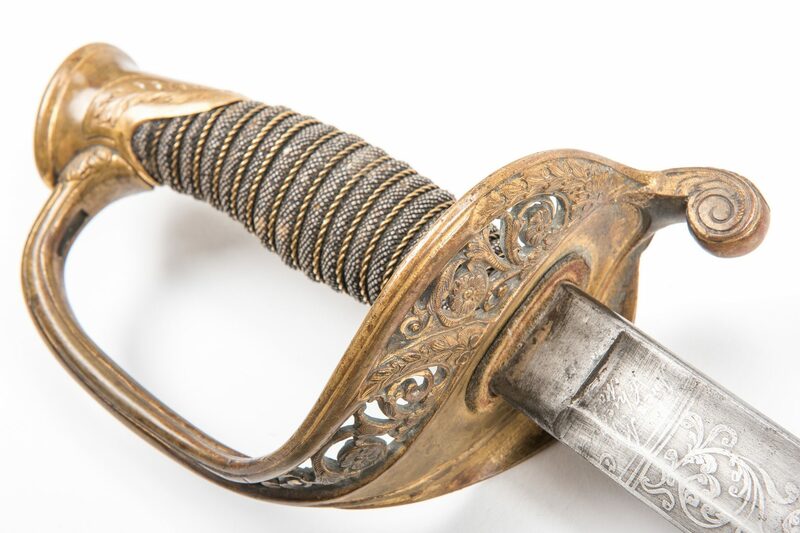 Areas of tarnish to handle and brass mountings on scabbard.